If we see a Ghouta scenario in Idlib, this could be six times worse, affecting 2.3 million people. 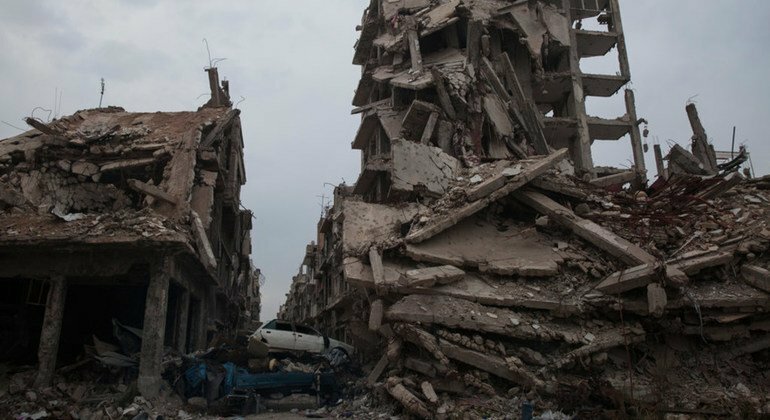 Since the conflict erupted in March 2011, Syria has witnessed unprecedented devastation and displacement. More than 5 million Syrians have fled the country and 6 million are internally displaced. With more than 13 million people in need of assistance, the conflict has caused untold suffering for Syrian men, women and children. Click here for news coverage on Syria. 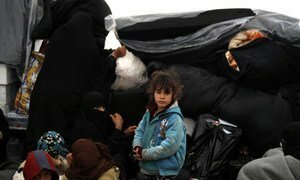 Conflict, in its eighth year, has produced more than 5.6 million Syrian refugees and 6.1 million internally displaced people (as of March 2018). More than 13 million people inside Syria require humanitarian assistance, including nearly 6 million children. At the end of 2017, more than half the country’s hospitals, clinics and primary health care centres were only partially functioning or had been damaged beyond repair. The Security Council takes the lead on political action on Syria. In 2017, the 15-member body discussed Syria 33 times – the most frequent topic – in informal consultations. Since 2012, the Council has adopted 23 resolutions on Syria or largely related to Syria. 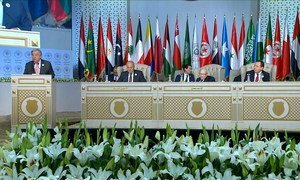 UN has convened 8 rounds of intra-Syrian talks since 2016 to find a political solution to the conflict. 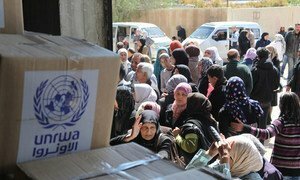 In 2017, UN-led humanitarian convoys reached 820,200 people inside Syria. UN-led Regional Refugee and Resilience Plan (3RP) for 2018-2019 calls for $4.4 billion to support over 5 million refugees in neighbouring countries and some 4 million members of the host communities. WHO and partners delivered over 14 million treatments across Syria in 2017. In 2017, WHO led operations to vaccinate almost 2.5 million children against polio, and 4.8 million children against measles. In December 2017 alone, UNFPA supported 19,454 deliveries, including 8,746 C-section operations, inside Syria. In 2018, UNICEF and partners plan to enroll 2.2 million children aged from 5 to 17 in formal general education. UN Human Rights Council investigates all violations of international law since March 2011 through the Independent International Commission of Inquiry. 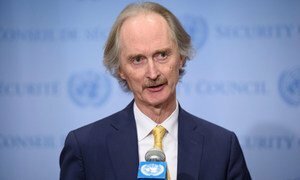 The United Nations Special Envoy for Syria, Geir O. Pedersen, is working tirelessly to bring the parties to the negotiating table and an end to the war. 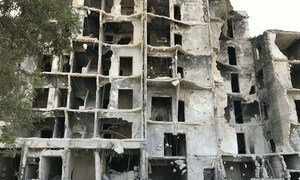 Since January 2016, the Special Envoy for Syria has conducted several rounds of intra-Syrian negotiations with talks in late 2017 into 2018, focusing on two key aspects of Security Council resolution 2254 (2015), a schedule and process to draft a new constitution and the holding of elections as the basis for a Syrian-led, Syrian owned process to end the conflict. For all the key dates of the Syrian peace process, click here. Over 250,000 people have been killed and over one million injured since the onset of the crisis in 2011. More than half of all Syrians have been forced to leave their homes, often multiple times, making Syria the largest displacement crisis globally. Human rights violations and abuses continue to occur in the context of widespread insecurity and in disregard of international law, international humanitarian law, and human rights law. The UN is working with partners to provide humanitarian assistance to those in need. On 21 December 2016, the UN General Assembly established the International, Impartial and Independent Mechanism (IIIM) to "collect, consolidate, preserve and analyse evidence of violations of international humanitarian law and human rights violations and abuses and to prepare files in order to facilitate and expedite fair and independent criminal proceedings ... in national, regional or international courts or tribunals that have or may in the future have jurisdiction over these crimes".